One way to make an article look impressive is to use citations – the more you use, the more impressive. Well, so some people think. Some of the over 140 references in Geoff Pain’s article. These references impress some people but are irrelevant to Pain’s arguments. Again and again I find anti-fluoridation campaigners refer to the number of references in an article or book as a sign of scientific credibility. Paul Connett often promotes his anti-fluoride book by referring to its 80 pages of references. And in a recent on-line discussion where I criticised an article by the anti-fluoride campaigner Geoff Pain I was told that it contained over 140 references, as if that was the end of the story – his article must be valid! Pain’s article is “Fluoride causes heart disease, stroke and sudden death.” It’s one of series of propagandist articles which he has placed on the Researchgate we site. That website also impresses the anti-fluoride people as they think it gives the articles the scientific credibility of publication in a scientific journal. But anyone can belong to Researchgate and upload their articles. There is no peer review or any other form of quality control. 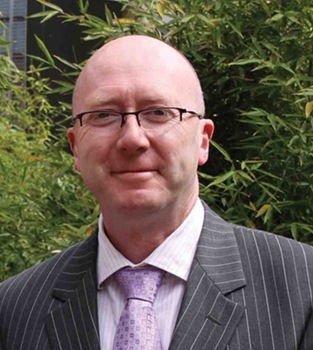 He is a consultant with a science degree and claims to specialise in analytical chemistry. But there is no credible science in his “technical reports” and “conference papers” on fluoride. Pain uses the technique of literature trawling that Declan Waugh has made famous in his anti-fluoride articles. This involves searching the scientific literature for any reference to fluoride and possible toxic effects. A technique which produces mostly irrelevant articles – but so what. They just bung the citations into their articles and make unjustified claims. They rely on their readers never to check the references anyway The committed anti-fluoridation person is only impressed by the number of references – not their relevance. No-one has the time or interest to completely debunk such articles by going through every single claim and checking every single citation. Nor are such articles worthy of such attention. So let’s settle for a “partial debunking.” Here I will just take a single central claim in Pain’s article linked to above and check the relevance of his supporting citations. 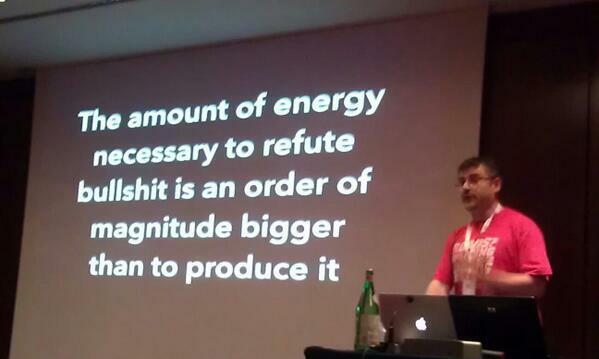 This should be sufficient to show how he misuses citations and misrepresents the science. Readers can draw their own conclusions about the rest of this article and about his other articles. 2000, Kousa 2004, Bogatchera 2006 and references therein].” So let’s see how relevant those citations are and if they actually support his claim. Let’s see how relevant those citations are and if they actually support his claim. 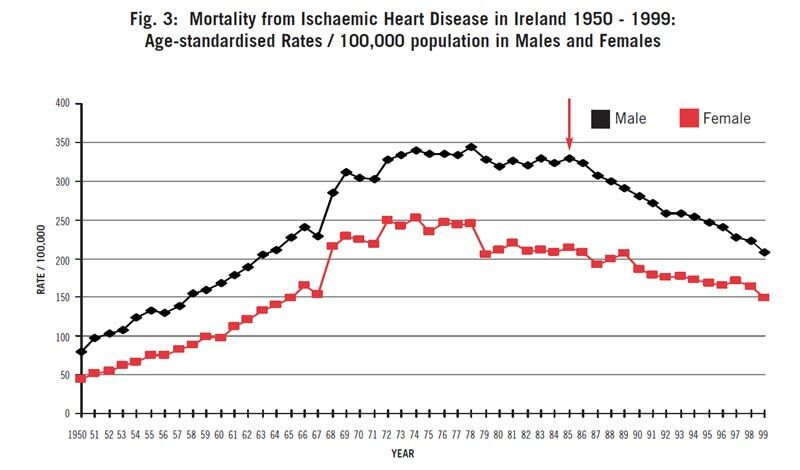 So no evidence of fluoride causing cardiovascular damage there. The organic phenyl methyl sulfonyl fluoride does not contain fluoride. Tyagi et al., 1996 (“Post-transcriptional Regulation of Extracellular Matrix Metalloproteinase in Human Heart End-stage Failure Secondary to Ischemic Cardiomyopathy“) used the metal chelators phenanthroline and phenyl methyl sulfonyl fluoride in laboratory identification of bands identified in immunoblot analysis of proteinases extracted from heart tissue. This has absolutely nothing to do with fluoridation or the fluoride anion. Phenyl methyl sulfonyl fluoride is an organic compound and does not contain the fluoride anion. Artru et al 1997 investigated use of anaesthetics sevoflurane and isoflurane and their effect on intracranial pressure, middle cerebral artery flow velocity, and plasma inorganic fluoride concentrations in neurosurgical patients. There was no investigation of cardiovascular damage. The plasma fluoride was derived from breakdown of the anaesthetics – there was no fluoridation involved. Johnson et al., 1998 does deal with heart-related matters – atherosclerosis, infarction and stroke. But there is no mention of fluoride or fluoridation. Pain has picked up this article in his literature trawling purely because the study used the protease inhibitor 4-amidinophenylmethanesulfonyl fluoride as a reagent. Again, this is an organic chemical – it does not contain the inorganic fluoride species. The study has no relevance to fluoridation. So Pain’s literature trawling has found a paper mentioning fluoride and cardiovascular problems but it does not support his claim they are related. Jehle 2000 did research the human coronary artery but again it was produced by Pain’;s literature trawling simply because the investigation used the protease inhibitor reagent phenylmethylsulfonyl fluoride (see comments on Tyagi 1996). Nothing here to do with fluoridation or the inorganic fluoride species used in community water fluoridation. And they concluded that their findings suggested fluoride played a protective role. So a success for Pain’s literature trawling – a reported relation between fluoride and cardiovascular problems – but the opposite to what Pain claim. And he didn’t bother mentioning this, did he? How honest is that? Bogatchera 2006 does not seem to relate at all to cardiovascular issues, but sodium fluoride was used to stimulate bovine cells. The concentration of sodium fluoride used was 20mM – equivalent to 380 ppm fluoride. Well above concentrations found in drinking water and the recommended optimum level of 0.7 ppm. Not at all relevant to community water fluoridation and it simply does not support Pain’s claim. Well, that’s enough. I am not going to search Pain’s “references therin.” Nor will I bother with any of his other claims or cited references. I think you get the picture. People like Geoff Pain promote themselves as “renowned” experts on community water fluoridation – but they simply aren’t. Surely the dishonest way Pain has used citations in the article considered here illustrates this. And we can be sure that he has approached his other fluoride articles in the same way. So there is a warning. Just don’t be impressed by large numbers of references. Check them out – or at least check some of them out. If you find the references you check do not support the claims being made, or are maybe even completely unrelated to the claims, then draw the obvious conclusions. NOTE: I am contacting Geoff pain to offer him the right of reply here and a chance to enter into any discussion. Anti-fluoride propagandists like Declan Waugh and Paul Connett avidly scan the scientific literature looking for anything they can present as evidence for harmful effects of community water fluoridation (CWF). Sometimes they will even do their own “research” using published and on-line health data looking for any correlations with CWF, or even just with fluoride levels in drinking water. Several years ago an activist going under the nom de plume “Fugio” posted images showing correlations of mental retardation, adult tooth loss and ADHD with the incidence of CWF in the US. These images are simply the result of “research” driven by confirmation bias and data dredging.They prove nothing. Correlation is not proof of a cause. And no effort was made to see if other factors could give better correlations. I go through Fugio’s examples below – partly because I noticed one of their images surfacing recently on an anti-fluoridation Facebook page as “proof” that CWF causes tooth loss. But also because they are just more examples of the type of limited exploratory analysis used in two recently published papers – Peckham et al., (2015) (discussed in my article Paper claiming water fluoridation linked to hypothyroidism slammed by experts) and Malin and Till (2015) (discussed in my articles More poor-quality research promoted by anti-fluoride activists, ADHD linked to elevation not fluoridation and Poor peer-review – a case study). This figure is essentially the same as that reported by Malin & Till (2015). In fact, I wonder if Fugio (who posted December 2012) is the unattributed source of Malin & Till’s hypothesis. 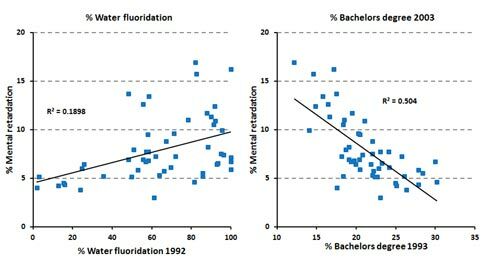 Fugio chose the ADHD data for 2007 and fluoridation data for 2006 whereas Malin and Till (2015) concentrated mainly on fluoridation data for 1992 which had the highest correlation with ADHD figures. I won’t discuss this further here – my earlier article ADHD linked to elevation not fluoridation shows there are a number of other factors which correlate with ADHD prevalence just as well or better than CWF incidence does and should have at least been considered as confounding if not the main factors. I found a model using mean elevation, home ownership and poverty only (no CWF included) explained about 48% of the variation whereas their model using CWF and mean income explained only 22-31% of the variation. And when these confounder factors were considered the correlation of ADHD with CWF was not statistically significant. In other words we could do a far better job of predicting ADHD prevalence without involving CWF. Fugio posted a figure showing a correlation of adult tooth loss with CWF incidence in 2008. It was statistically significant explaining 11% of the variation. But quite a few other factors display better correlations with adult tooth loss. For example, the data for smoking by itself explains 66% of the variation (see figures below). Checking out correlations with a range of factors I found a model involving only smoking and longitude explaining about 74% of the variation. The contribution from CWF was not significant statistically – it added nothing to this model. Fugio found a better relationship between CWF in 1992 and mental retardation in 1993 – a correlation explaining 19% of the variation. Apparently the concept of “mental retardation” was later abandoned as there do not appear to be any more recent statistics. But again, if Fugio had not stopped there he/she would have found a number of other factors with better correlations. I give an example in the figure where state educational level (% Bachelors Degree in 1993) explained 50% if the variation. This correlation is negative as we might expect. Again I used multiple regression analysis to derive a model involving educational level (% with Bachelors degree in 1993), poverty in 1993 and mean state elevation which explained 69% of the variation. No statistically significant contribution from CWF occurred. I am not suggesting here that the factors I identified have a causal effect. Simply that they give better correlations than CWF. These and similar confounding factors should have been considered by Fugio and Malin and Till (2015). My purpose is to show that this sort of exploratory analysis of easily available data can easily produce results for anti-fluoride activists who are searching for some “sciency” looking arguments to back up their position. Provided they don’t look too deeply, stop while they are ahead and refuse to consider the influence of other factors. Unfortunately poor peer review by some journals is allowing publication of work that is no better than this. Peckham et al (2015) did nothing to check out other factors except gender in their correlations of hypothyroidism with CWF. The glaring omission was of course dietary iodine which is known to have a causative link with hypothyroidism. (I could not find US data for hypothyroidism so was unable to check out Peckham et al’s hypothesis for the US.) Malin and Till (2015) included only socioeconomic status (as indicated by income) in their analysis despite the fact that ADHD is known to be related to a number of factors like smoking and alcohol intake. As I keep saying, when it comes to understanding the scientific literature it really is a matter of “reader beware.” It’s easy to find papers supporting one’s pet obsession if you are not critical and sensible with your literature searches. And it is important not to take at face value the claims of activists who clearly rely on confirmation bias when they explore the literature. 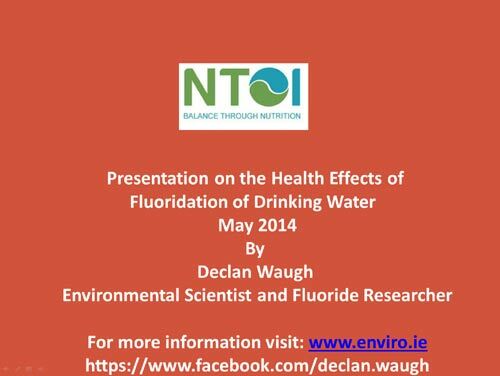 Declan Waugh is a self-proclaimed “scientist and fluoride researcher” who seems to spend all his time misrepresenting and distorting scientific literature and health data to promote his anti-fluoride cause. Waugh has an avid following, among fellow anti-fluoride activists and propagandists. The sad thing is that he “reports” do manage to fool some gullible people. The Hamilton City Council staff listed one of his reports at the top of the “list of scientific information” they relied on when they stopped fluoridation last year (see When politicians and bureaucrats decide the science). And the “Physicians and Scientists for Global responsibility, NZ” also relied heavily on this report in their anti-fluoridation submission to councils. But Declan Waugh’s latest “scientific” gem is a real whopper. He has extracted data from a 1997 Finnish paper to produce “evidence” fluoridation causes all a sorts of ailments. In the process he surely can’t have missed the fact the authors found the same level of expressed symptoms from people who were drinking unfluoridated water but believed it was fluoridated. That is, the symptoms seem to have a psychological cause, the belief threat drinking water was fluoridated, and not a physical cause – fluoride in the water. The paper is Lamberg, M., Hausen, H., & Vartiainen, T. (1997). 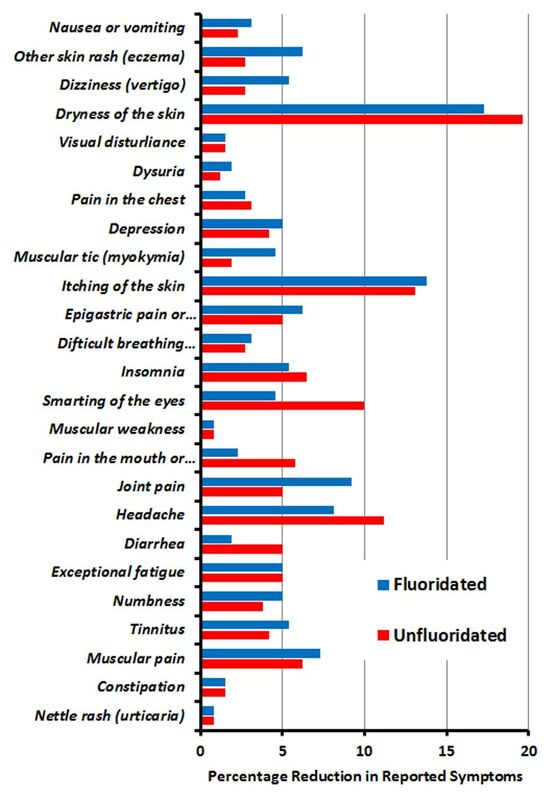 Symptoms experienced during periods of actual and supposed water fluoridation. Community Dentistry and Oral Epidemiology, 25(4), 291–5. Or see the full text. Seriously? 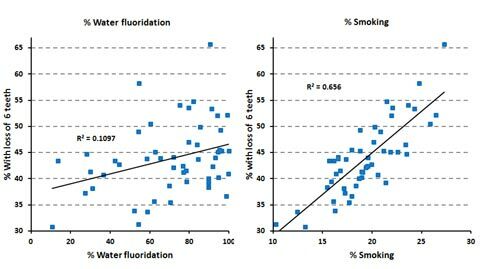 Waugh’s bar graph will be interpreted by many as evidence 72% or more of people drinking fluoridated water report “nausea and vomiting” which disappear when fluoridation is stopped! He has ignored that actual data (in the same table) for % reduction of reported symptoms for both the group that had originally drunk fluoridated water, and the group who had originally drunk unfluoridated water in the mistaken belief it was fluoridated. He took his data from the information for all respondents, combining both groups in the final survey but ignored the column for people drinking unfluoridated water but believing it was fluoridated. He then took a “percentage of a percentage” so that, for example, although the percentage of respondents reported “Nausea and vomiting” when drinking fluoridated water was 3.8% (and 2.3% for the group who wrongly assumed they were drinking fluoridated water) had dropped to 1.1% when knowingly drinking unfluoridated water (a decline of 2.7% which was not statistically significant) his calculation produced a decline of 72%! Very different to his figure. The again, it is not uncommon to get a false positive when considering a large number of ailments in the same study. Nearly 10% of the respondent in the Finnish study claimed they could taste the fluoride in fluoridated water – which is known to be impossible for humans. 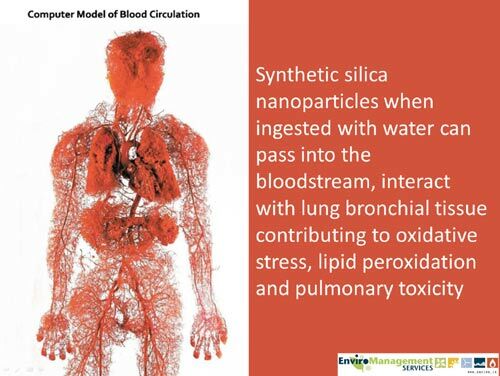 Declan Waugh argued recently that silica species produced when fluorosilicates are hydrolysed in water cause a whole range of health problems and deaths. A new theory for him – silica is the problem, not fluoride! He is wrong, of course (see An open letter to Declan Waugh – new mechanism for fluoride toxicity?). Declan had previously argued the exact opposite. That fluorosilicates do not hydrolyse completely in water and it is the remaining fluorosilicate species that are toxic and cause all these effects. 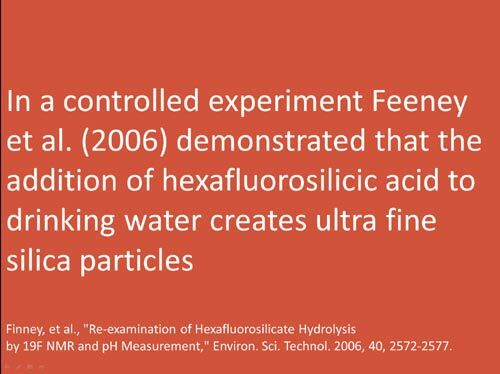 He summarised his arguments and evidence for this in his 2012 report Hexafluorosilicic Acid, Raw Materials, Manufacture, Toxicity and Public Health Concerns as an Active Ingredient in Drinking Water. This report is typical of Waugh’s writings. He distorts or misrepresents the literature and makes unwarranted inferences. He is not the only person doing this – it’s a common feature of the confirmation bias and cherry picking endemic to the anti-fluoridation movement. However, for some reason some people consider he is an authority on the subject (perhaps they have been fooled by his own hubristic claims to be an “environmental scientist and fluoride researcher”) so his reports get used as evidence and are something quote. 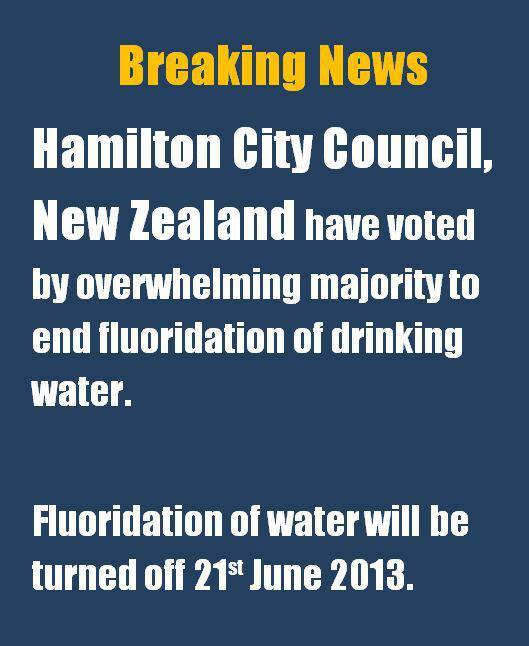 For example, the Hamilton City Council listed one of his reports first in the “scientific evidence” which convinced them to stop fluoridation last year (see When politicians and bureaucrats decide the science ). Mark Atkin, the science and legal spokesperson for the local anti-fluoridation group is also fond of citing Declan Waugh – maybe because Waugh is the only source he can find to support his own confirmation bias. In this article I consider some of the claims Waugh makes in the above report and show how he uses distortions and misrepresentation of the literature he cites to support them. All this ignores that the toxic species in CaF2 is the fluoride anion. This is the same for fluorosilicic acid in drinking water as the fluoride anion is the end product of its hydrolysis when added to water. In fact the relevant species is the fluoride anion whatever the source – NaF, CaF2 or fluorosilicic acid. So the relative toxicities Waugh quotes for solid CaF2 and concentrated fluorosilicic acid are irrelevant. Calcium fluoride is relatively insoluble (about 15 ppm CaF2 = 7.3 ppm F) so when the solid is ingested there is less dissolved fluoride anion available to exert a toxic effect. That is why it is less toxic than the readily soluble NaF and fluorosilicic acid. But CaF2 is soluble enough to easily maintain the optimum concentration of fluoride anion required for the beneficial effect (0.7 ppm F). One could use it to fluoridate water – although the mechanics would be difficult as very little dissolves. Whatever the source, NaF, CaF2 or fluorosilicic acid, the end product in drinking water is the same so introduction of such relative toxicities is misleading. Strange. He is claiming that we currently do not have the analytical methods to measure or quantify residual fluorosilicates but nevertheless “it is now accepted” and “further known” silica fluoride compounds are present in drinking water. Trouble is neither the table he presents, or the paper he refers to (from which the table is taken) say this. They say the exact opposite! His reference 3 is to Urbansky (2002) and 9 is to Ciavatta, L., Iulianno, M., & Porto, R. (1988). Fluorosilicate Equilibria in Acid Solutions. Polyhedron, 7(18), 1773–7779. The falseness of his claim that Urbansky provided evidence of the existence of fluorosilicates in drinking water was discussed above. 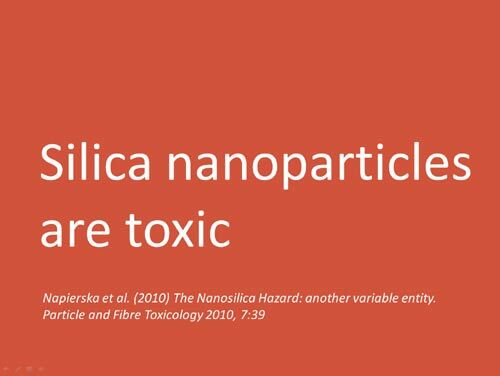 Urbansky and Schock (2000) actually put the theoretical proportion of silica present as fluorosilicate in the “most acidic gastric conditions” at less 0.0002%. As for Ciavatta et al (1988) – their work has no relevance to the stomach or bladder. They studied the reaction of silicic acid and fluoride in 3 Molar Lithium perchlorate with an acidity between 0.3 and 3 Molar. An ideal solution for the laboratory investigate of chemical equilibria but more extreme than conditions in our stomach and bladder. So again, Waugh has misrepresented the literature and distorted its relevance to the situation in drinking water and our body. Nevertheless, Waugh get cited as evidence for incomplete fluorosilicate hydrolysis and for recombination in the stomach. For example Mark Atkin relied on this report of Waugh’s in defending this erroneous claim before the NZ Advertising Standards Authority (see Anti-fluoridation advertising deceptive). Finney et al (2006) is also often used by anti-fluoridationists to claim recombination in the stomach because they showed presence of an intermediate SiF species at pH values below 3.5 (SiF5–). Again this is a laboratory study with higher F concentrations and no interfering species. 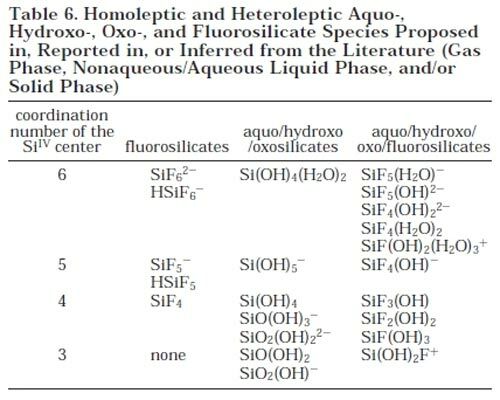 In the real world drinking water (and especially the stomach content) has all sorts of chemical species, many of which react with F, Si(OH)4 or both. These will displace any theoretically derived equilibria. I have not seen any reports of detection of silicofluorides species in the stomach or bladder. Nor have I seen anything to suggest that these would be any more toxic than fluoride itself – or any of the other chemical species present in the stomach. Attempt to establish himself as a “scientific authority” on fluoridation which can be used by anti-fluoridation activists to support their own claims. I guess you can fool some of the people some of the time. But it does show that such material should always be approached critically and intelligently. PS: I would of course welcome Declan Waugh’s response to this article. After all, I might be completely wrong – but I won’t know that without some sort of exchange with him.